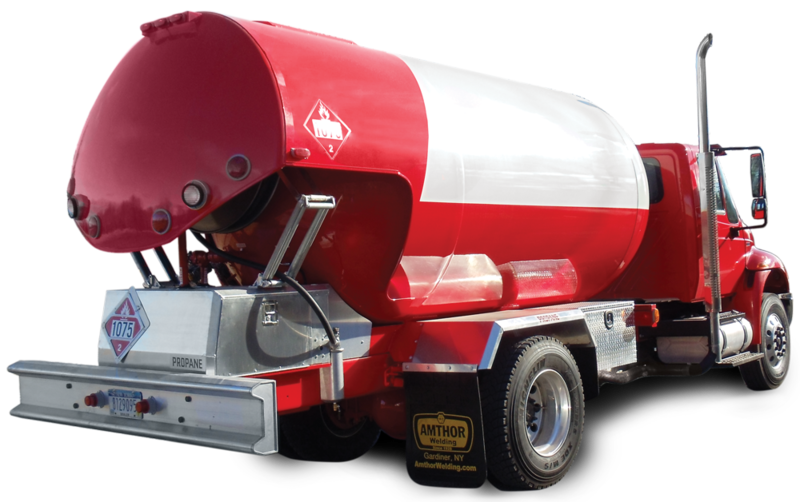 Amthor International’s Propane Clipper features a rear canopy on the back of the tank to protect all of the pumping equipment and valving. The rear canopy houses the hose reel that is hung invertedly and is pulled out on an angle from above versus straight out like on the Bobtail and Combo. 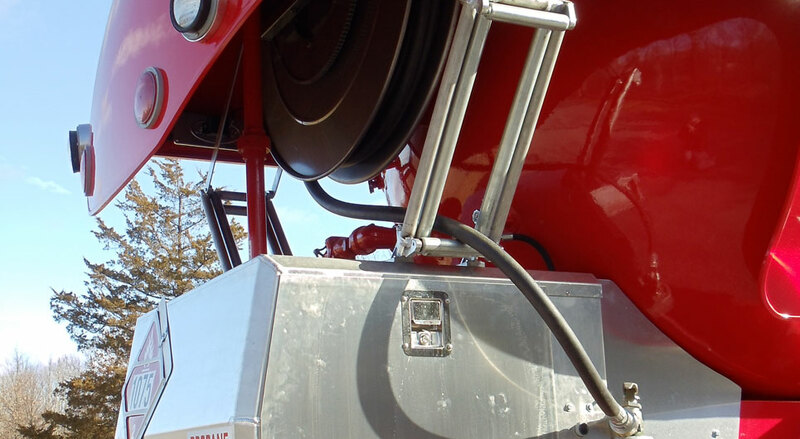 The meter is enclosed in a framed mounted meter box under the rear canopy adding an extra layer of protection between your tank’s equipment and the harsh environmental elements. 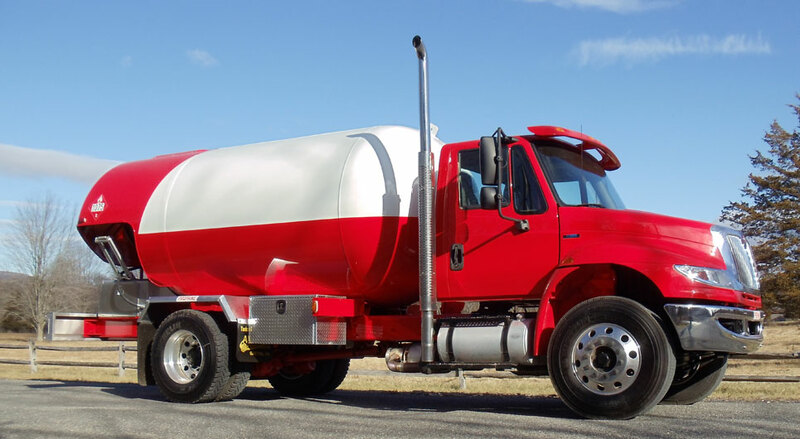 Some of our specialized customizations include a bottle filling station that features a separate cabinet on the side of the tank to fill up smaller propane tanks, such as propane tanks for grilling, and has a scale for precise measuring. We also offer Thermaflow tank stabilization system. 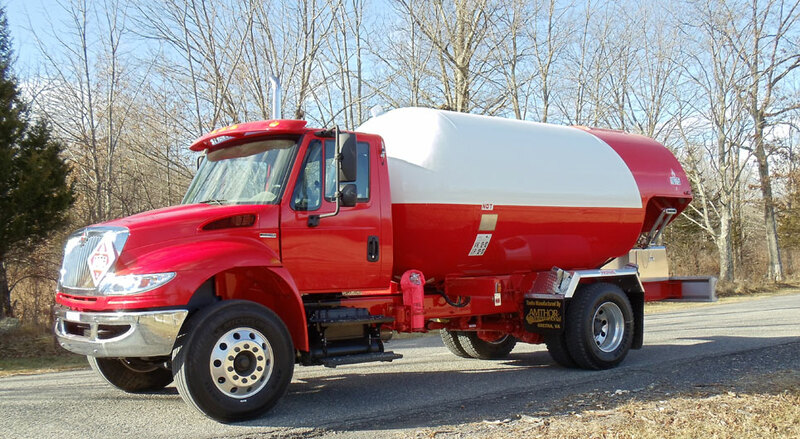 As propane expands in heat, the Thermaflow system runs a coolant through a pump on the tank which cools the propane and makes it easier to pump during hot summer months. 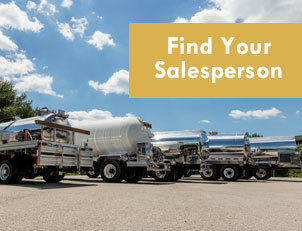 All of our propane tanker lines can have special customizations including custom paint jobs and lettering, hose reel covers, methanol injectors, side loading and discharge, rear loading and discharge, propane changeovers or refurbishments, multi – function remote shutdown system, cabinet options, autogas fill cabinet, fully customizable lighting, rear deck customization, and much more. 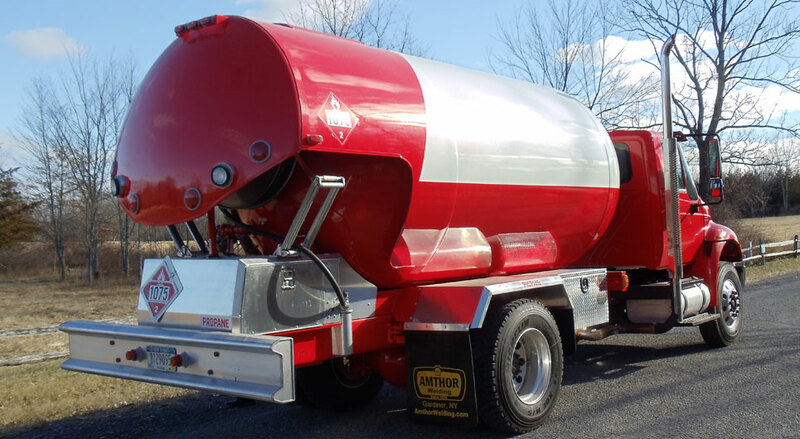 With tank sizes available up to 6500 gallons and several tank options to choose from, we can build the exact unit to suit all the needs of your business. 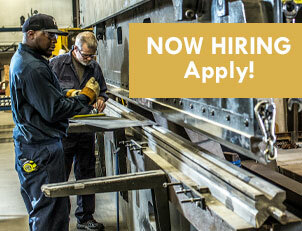 We offer many standardized features and benefits to choose from so you get the best tank for your business.